Fresh Apples from Manjimup WA, Granny Smith, Kanzi and Jazz is the star of this blend. Refreshingly crisp, semi-sweet and a dry finish. Made in Australia In the cool climate wine area of Murrumbateman just outside Canberra, using lychees because of their universal appeal and vibrant and refreshing flavour and distinctive aromas, Lychee Gold has perfected the unique blend of lychees, sweetness and alcohol to produce a delectable boutique cider in its purest form. It’s in the word my brothers & sisters, this vintage crisp dry cider is full of old school lip puckering lovelyness that should be enjoyed with friends to remember the good old days. This is a seriously real cider! A lightly sparkling Perry with exceptional quality. 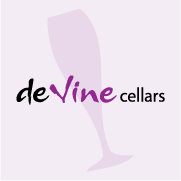 A medium dry taste that is abundant with fruity wholesome undertones. A perfect drink for all occasions. Suitable for vegetarians, vegans and coeliacs. 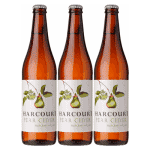 A refreshing Pear Cider produced from organically grown pears. Westons Organic Pear is fresh and fruity with a rich pear flavour. Suitable for vegetarians, vegans and coeliacs. Fresh pear aroma with a delicately sweetened pear flavour to harmonise the fresh apple cider. 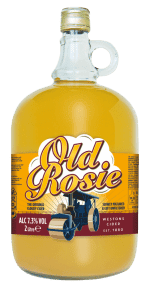 The Apple Cider has a lovely creaminess and fullness which presents a range of flavours along the palate making this cider complex yet refreshing. Fresh sun ripened New Zealand apples have been crushed & patiently fermented to retain their natural apple flavours. This crisp, delicious cider with revitalise you! 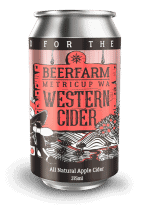 Mercury Dry presents a characteristic fruity, apple cider flavour with a cleansing dry aftertaste for great refreshment value. A refreshing traditional cloudy cider with a fragrant, fresh aroma, a broad, clean palate and a crisp finish. 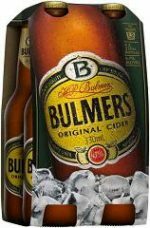 We use big apples, small apples, juicy apples and bittersweet apples to make the well-balanced and medium-sweet flavour of Bulmers Original Cider that you know and love. Tooheys 5 Seeds Crisp Apple Cider is wonderfully refreshing, with flavoursome apple characteristics coming through in both the aroma and flavour. Serve on its own, or over ice with the addition of some fresh fruit. Tooheys 5 Seeds is one of Australia’s favourite ciders, with it’s crisp and refreshing palate of pure apple taste. 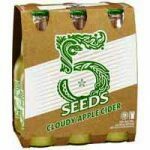 A deep and flavoursome palate, 5 Seeds Cloudy Apple, is sure to please even the most discerning of cider drinkers. 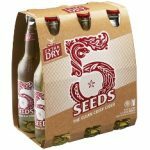 Tooheys 5 Seeds Cloudy Apple Cider will be “all the rage” this summer. 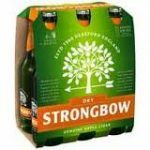 Strongbow Dry Cider is made using a variety of apple types – providing a unique and relatively complex Cider. 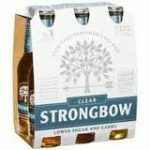 Strongbow Clear is made with specially selected apples, it&nbsp; has well balanced fruit character and acidity, with a crisp, and very dry finish. Low in sugar and carbs, it is the perfect refresher. 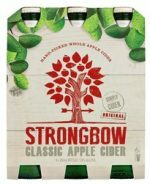 Clean, crisp and full flavoured Cider with a cleansing finish. Somersby Pear Cider is a very vibrant and crisp cider made with fermented pear juice and natural pear flavouring. There are no artificial sweeteners, flavours or colourings added. It is a refreshing and bubbly cider, that is perfect to share with friends. Somersby Apple Cider is an refreshingly invigorating cider made from the best quality fermented apple juice and natural apple flavouring. 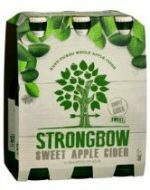 There are no artificial sweeteners, flavours or colourings used in the making of this top quality cider. It has a unique taste that makes it a natural choice for relaxing and sharing with friends. 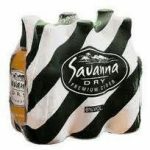 Savanna Dry is a clear 100% apple cider in a unique see through bottle and made from the juice of crushed Elgin apples, a lush region of the Western Cape. The magic of transforming humble apple juice into sublime cider is all in the fermentation process. 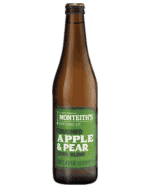 Monteith’s Crushed Pear Cider is a refreshing light cider. Fresh sun ripened New Zealand pears have been crushed & patiently fermented to retain their natural pear flavours. Pour over ice for the ultimate relaxer.